Who says that only humans can be part of your Necromunda gang? Nobody, that's who. If you want a trained alien-gator, you can have a trained alien-gator. At least, soon you can have a trained alien-gator. Forge World is taking orders for the Goliath Sumpkroc now over in their webshop. Two ends of the spectrum on display from Games Workshop this week for their pre-releases. 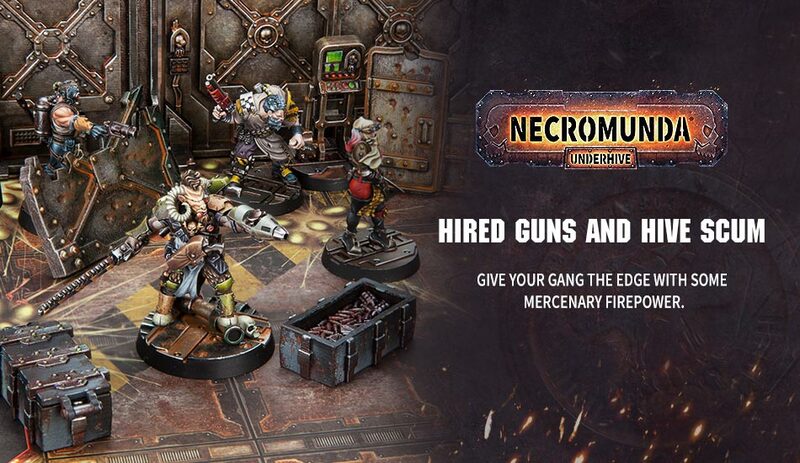 You can go and get yourself a new Necromunda Gang (the Cawdor) along accessories such as dice and the Gang War 4 book. There's also new Age of Sigmar releases with some new Stormcast Eternals as well as Nighthaunt figures. So, if you want sci-fi or fantasy, skirmish or army-scale game, you can pick between the two (or, you know, get them all). It was kinda hard to decide which of these two I wanted to feature. On one hand, you've got Necromunda, which I know has been a fan favorite for quite some time and is about to hit gaming tables again. On the other, you've got a superheavy tank, which is just below giant robots on my own personal scale of "cool." But I went with the new Necromunda figure. But really, the tank looks pretty awesome, too (IMO). Well, this is a blast from the past. If you're a fan of old-timey Games Workshop games, you'll want to see what we've got for you here. Necromunda. Yes, grab your gang and head to the Underhive. The game is making its way back to your tabletops soon. You can get your order in for the game now, as well as a couple games, terrain, extras, and dice. It's a bit of everything. 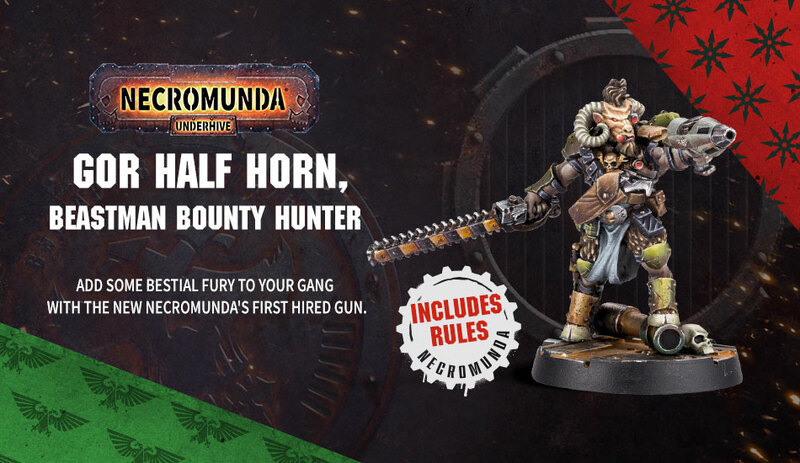 While I might personally have preferred Gorka-Morka (greenskin that I am), many people out there are excited for Necromunda, Games Workshop's other sci-fi skirmish miniatures game of gangs of thugs fighting against one-another. If you'd like a few more details about what you can expect from this new version, Warhammer Community has a new article up. I'd been hearing some rumors floating around that this was going to be the case, but it looks like it's now officially being announced. 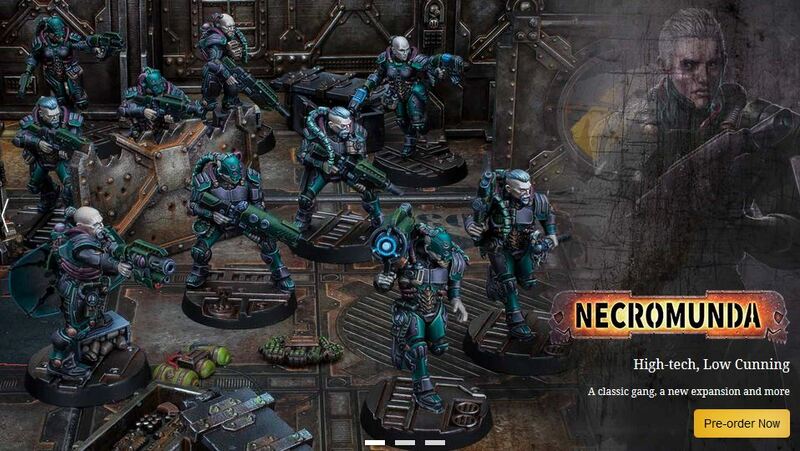 Games Workshop, who has been bringing back a lot of their older stand-alone games such as Blood Bowl, has announced that fan-favorite Necromunda will be making its way back to gaming tables soon. Well, this one had been running around the rumor mill pretty heavily this morning. When I first heard about it, I thought, "there's no way." And I'd been not wanting to post anything here until I got something from what I considered a "really, truly, official source." Well, the GW App has the news now, so I think it's safe to share. Games Workshop is going to be creating a Specialist Design Studio. But what does that mean?